Where the Rainbow is living! It was windy, rainy and sunny day in St. John’s on Saturday, November 8. 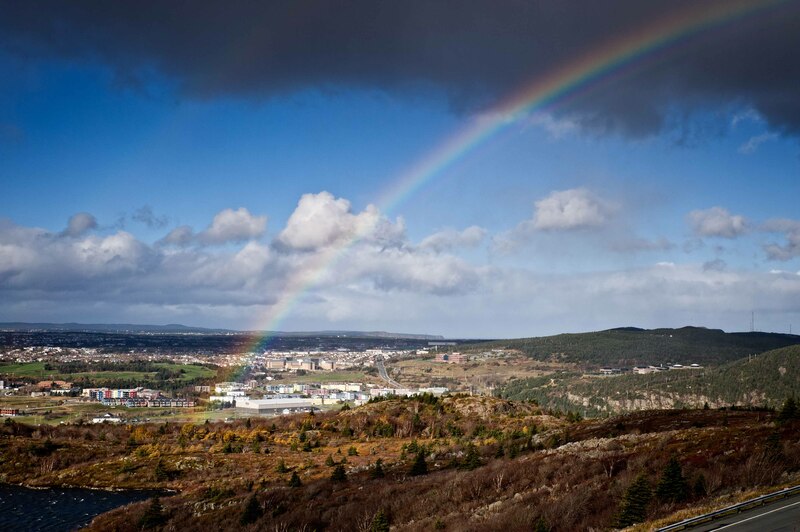 From the highest point of the city – Signal Hill, you could see where the rainbow was born. It was born in the neighborhood with colourful houses and absorbed their colors.